For almost 130 years, National Geographic has funded groundbreaking scientists and explorers and shared their globe-spanning ﬁndings with the curious at home, sparking lifelong commitments to protect and learn as much as possible about the planet Earth we call home. A portion of the proceeds from National Geographic Partners LLC will be used to further fund science, exploration, conservation, and education. For more information, visit www.nationalgeographic.com. © 2017 National Geographic Parners LLC. All rights reserved. NATIONAL GEOGRAPHIC and Yellow Border Design are trademarks of the National Geographic Society, used under license. 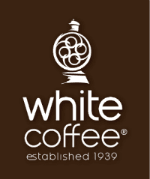 Distributed by White Coffee Corporation. All rights reserved.